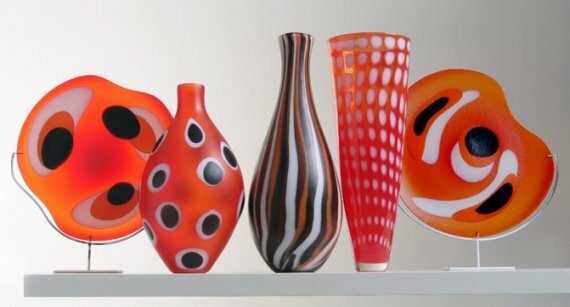 Simon Moore first started work as a glassmaker thirty two years ago, after training for a short time as a potter. 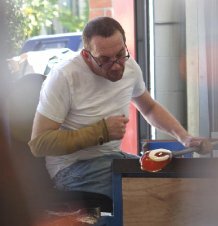 In 2003 he decided to go back to making pots. 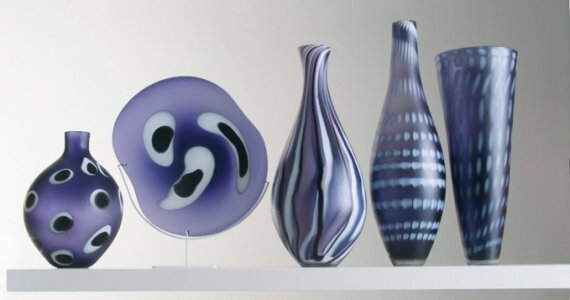 After a time the number of requests for his work in glass became such that he decided to consolidate both his passions and open the UK’s first ceramic and glass workshop. When the workshop was opened in 2006 a firm commitment was undertaken to produce everything by hand to the highest standard. Both dinnerware and glassware are made in his workshop in North Devon, England. 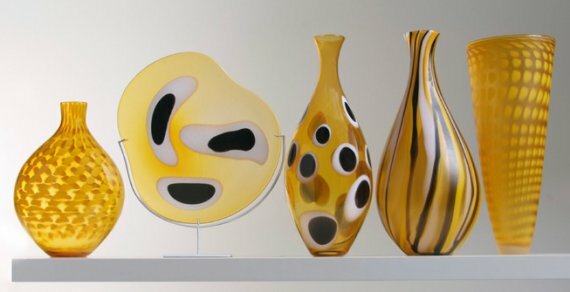 His latest glass collection seen here is offered through the Vessel Gallery in London. Visit the Simon Moore website ? here. 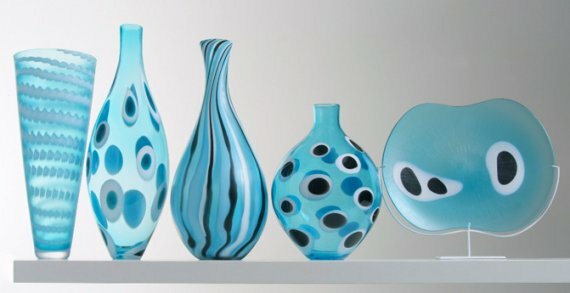 Visit the Vessel Gallery website ? here.